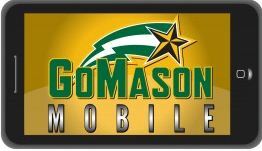 WGMU is now a part of the GoMason Digital Network, the official broadcasting and streaming platform for George Mason men’s and women’s basketball! This is huge for us at WGMU and for you the listener. As long as you have access to a computer and the Internet, you can hear all men’s and home women’s basketball games through the GoMason Digital Network! You can tune into every game at www.gomasonmobile.com and on WGMU. As part of the new GoMason Digital Network, WGMU is very excited to continue to broadcast home women’s basketball games as we have done the past few years! The broadcast includes a pre-game show featuring an interview with a member of the coaching staff as well as a halftime segment. WGMU student broadcasters will be doing all of the color, play by play, announcing and engineering for the women’s games. Stay tuned for our schedule of broadcasts!